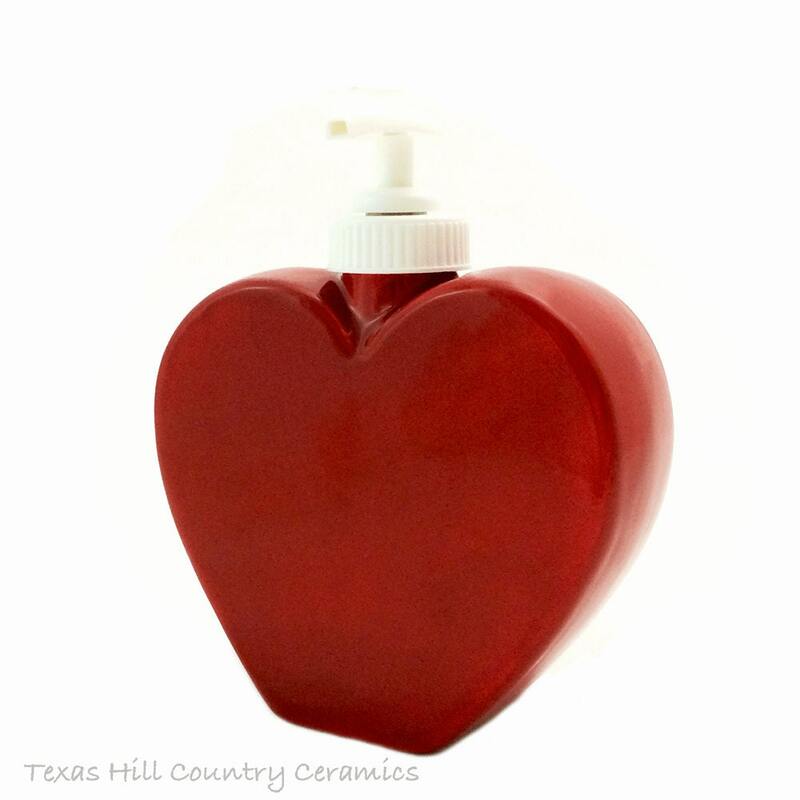 This lovely red Valentine Heart shaped soap dispenser is a perfect way to add a little love to your bathroom vanity as well as for keeping your favorite body or hand lotion or liquid soap handy. 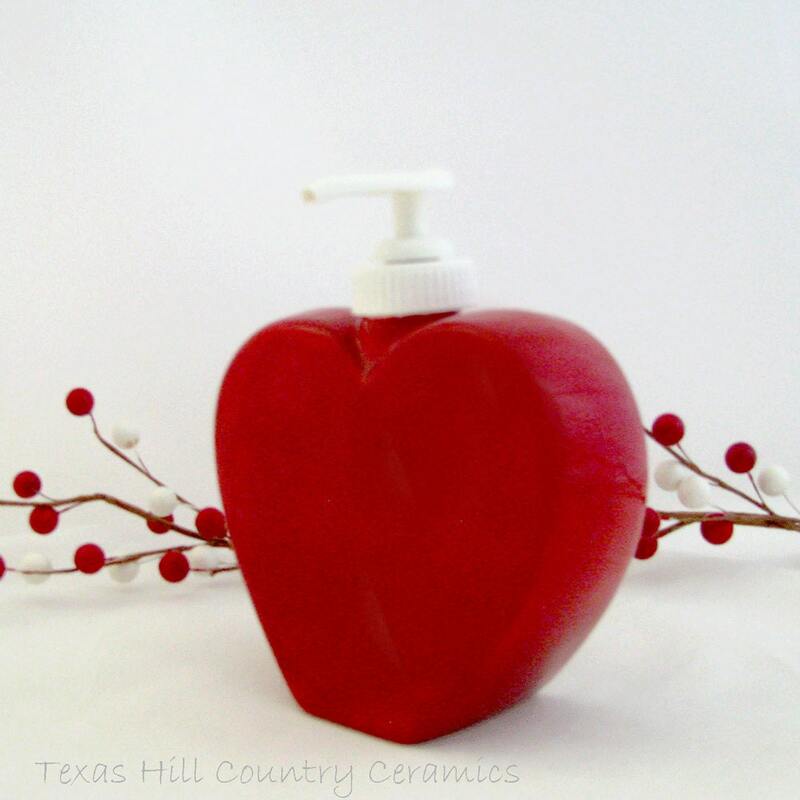 This red heart dispenser will help keep sink areas in the kitchen neat and tidy as well as festive. 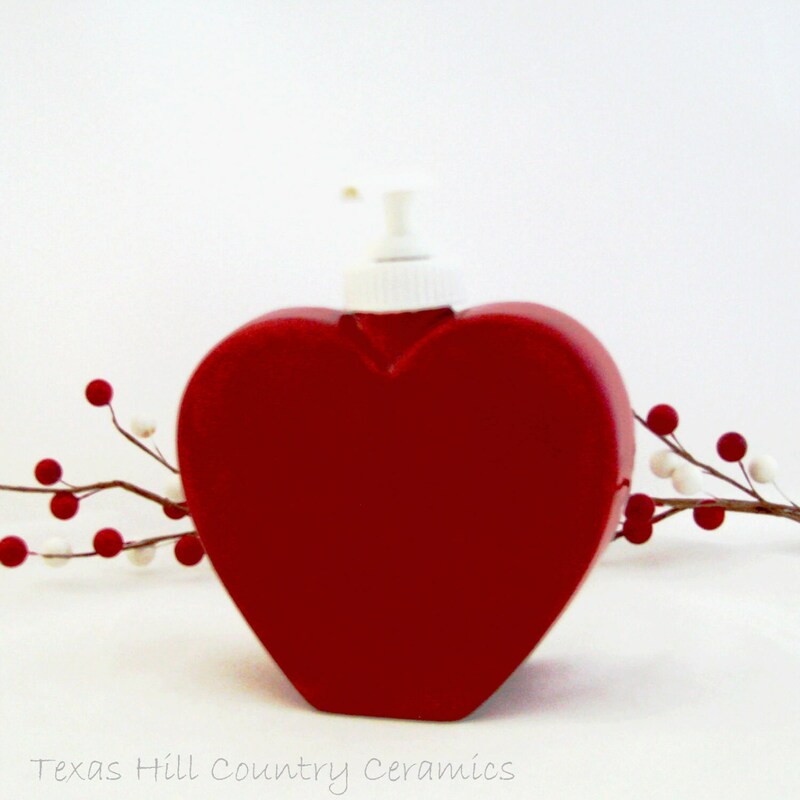 This red heart dispenser is a great way to say Be My Valentine or give as a gift to your sweetheart! 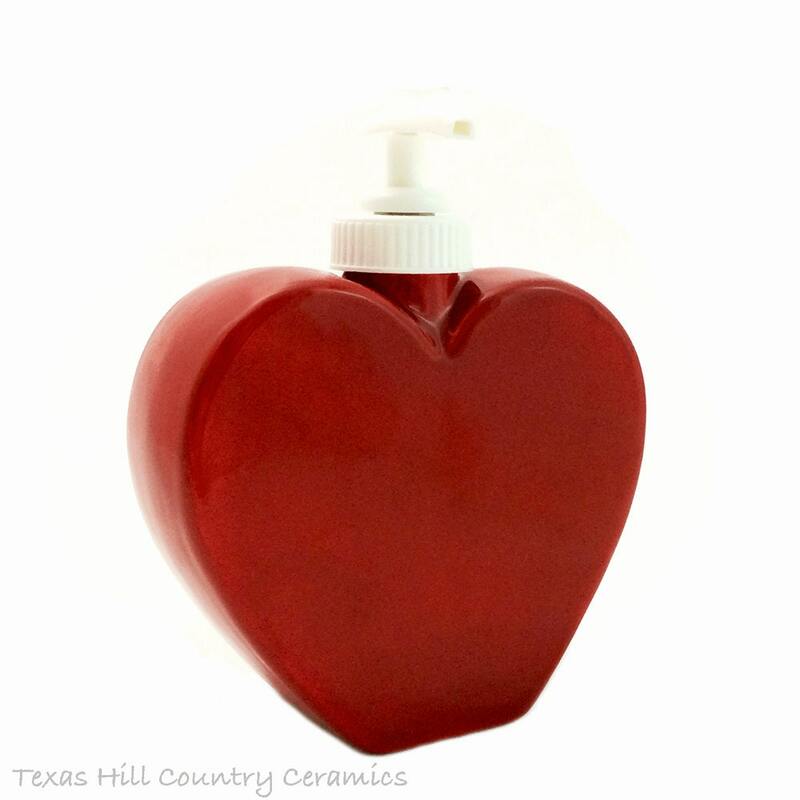 2nd purchase, just ordered my 3rd!!! great communication, can't wait to receive the bunny! !